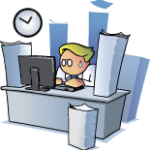 Not all ski resorts are ideal for first time ski enthusiasts, and tracking down the best place to go without the right information can feel like an overwhelming task. 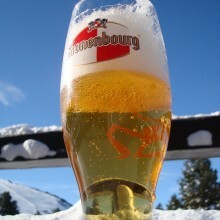 But it is not impossible; your first ski holiday most certainly won’t be your last, and your first time hitting the slopes will provide you with some of the best memories and some of the most hilarious stories to entertain your jealous friends and family who are at home, working and sitting in traffic. Picking the right place that suits your experience level – none at this point – will be the best way to get the most out of your skiing trip. Don’t try and be a big shot, because you are too embarrassed to hit the beginners slopes- not only are you a danger to yourself, but to other experienced skiers who could seriously injure themselves and you along the way. To help you with your research, here is a list of some of the top ski resorts that are ideal for total beginner and complete novice skiers. The stunning resort of Geilo in the Hallingdal Valley of Hardangervidda National Park is a favourite ski destination for families and beginner skiers on their first ski holiday. The location has a 5 star rating from other beginner skiers, and an ideal place to experience the magic of Norway in the winter. As well as the 39 slopes, the cross country routes, telemarking, dog sledding, ice fishing and snow shoeing make this a true winter sport paradise. Belle Plagne, France is a huge favourite among many skiers and is excellent for the newbie ski enthusiast. Because of its large number of intermediate runs as well as some 20 beginner slopes, it is perfect for a family or group of friend’s travelling with different experience levels. Good value for money, set in the most beautiful, picturesque surroundings, the resort offers stunning accommodation and practically guaranteed snow levels throughout the season. 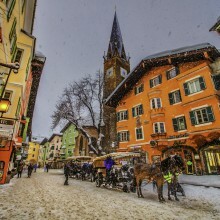 Here is everything you could have possibly imagined from the traditional ski resort – classic scenes of snow dusted alpine panoramas, enchanting old Austrian villages and plenty of stylish world class hotels. It is an ideal destination for groups and families travelling together who have a selection of experience and abilities on the slopes. There’s plenty for the serious beginner, the novice and the super slick pros – a true winter wonderland paradise that will turn beginners into ski addicts within the day. Killington in the Central Mountains of Vermont, New England is the North American ski resort closest geographically speaking to the UK. But that isn’t its only credential. There are some excellent nursery slopes, but the big boost for beginning skiers at Killington is the Discovery Centre. Here you can learn all about your equipment and how it works before hitting the slopes. 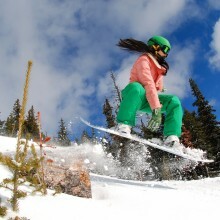 Killington offers plenty of off-piste activities and a fun après ski scene. 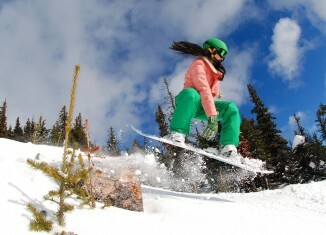 Taking up skiing is not exactly a budget-friendly activity so being able to try before you throw yourself headlong into the sport and all the expenses it entails is a great idea. 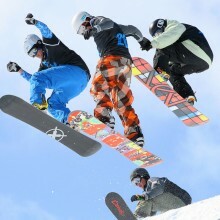 At Poiano Brasov, the emphasis is on offering beginners the opportunity to give skiing a go at wallet-friendly prices. This Carpathian resort is beautifully tranquil, set on a plateau surrounded by four mountains, one of the most beautiful resorts in Central Europe and the ideal place to find your ski legs. Between trips, falls and wobbles, you can explore Dracula’s Castle and the streets of medieval Brasov. Nestled at the foot of the resplendent north face of the Eiger, the rugged mountain panoramas make this one of the most dramatic ski resort regions in the world. Grindelwald is a quaint ski resort village, with just about no cars at all, and the scenery could have been cut right out of a Hans Christian Anderson fairy tale book. The nursery, or beginner slopes are a terrific place to learn and if after all of that, skiing turns out not to be your cup of tea try your hand at snowboarding or enjoy some fun in the snow tobogganing. A ride up the highest funicular railway in Europe is a must-do. 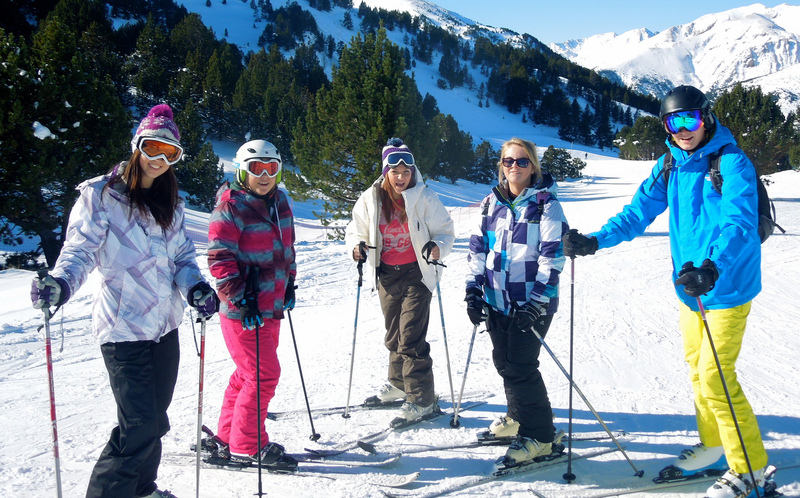 Boasting excellent slopes for skiers and snowboarders and plenty of night time disco fun, Soldeu is an excellent destination for that memorable first ski holiday and is thought of as one of the best beginner ski resorts in Europe. With great value for money and brilliant packages for families and large groups of friends travelling together, wake up to scenes of freshly fallen snow and embrace the adventure of a lifetime. Sitting in the truly breathtaking Canadian Rockies, Lake Louise is a peach of a destination for beginner skiers. Here is 4,200 acres of snow fields where 100kms of pistes field wind their way through Banff National Park leading down to the town on the shores of the breeze-ruffled and deliciously blue Lake Louise. Beginners and less confident skiers can enjoy nursery slopes and long cruising runs. 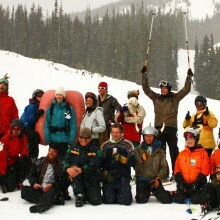 The varied and spectacular terrain also offers plenty of challenge for proficient skiers, making Lake Louise great for multi-ability parties. 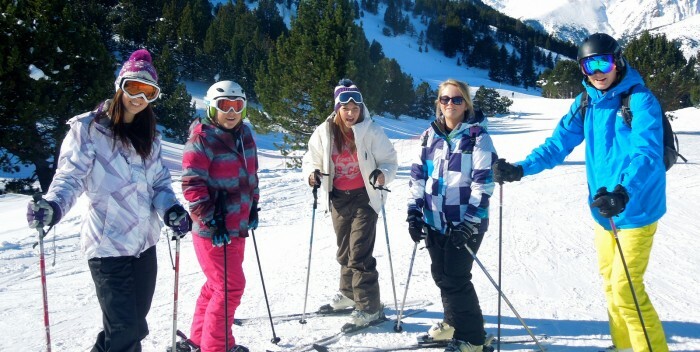 Ski lessons are an excellent idea on your first ski holiday – and like anything else in life, you are not going to be a pro the first time, but that is all part of the fun.